Students in the RRHS Health Occupations program have raised more than $1,000 to help area charities. The students have been working on Community Awareness this school year and will present their papers along with their work this week in Charlotte at the North Carolina HOSA State Leadership Conference. 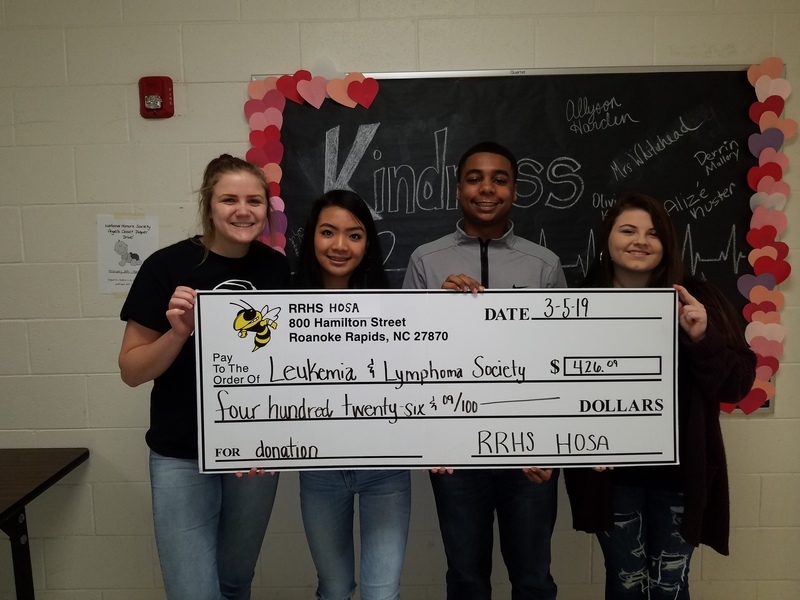 Students Alyssa Snyder, Shanelore Wangit, Kathryn Etters, and Derrin Mallory raised more than $400 that will be donated to the Leukemia and Lymphoma Society. Their project titled, "Slash Out Leukemia" also helped to raise awareness in the community about Leukemia. 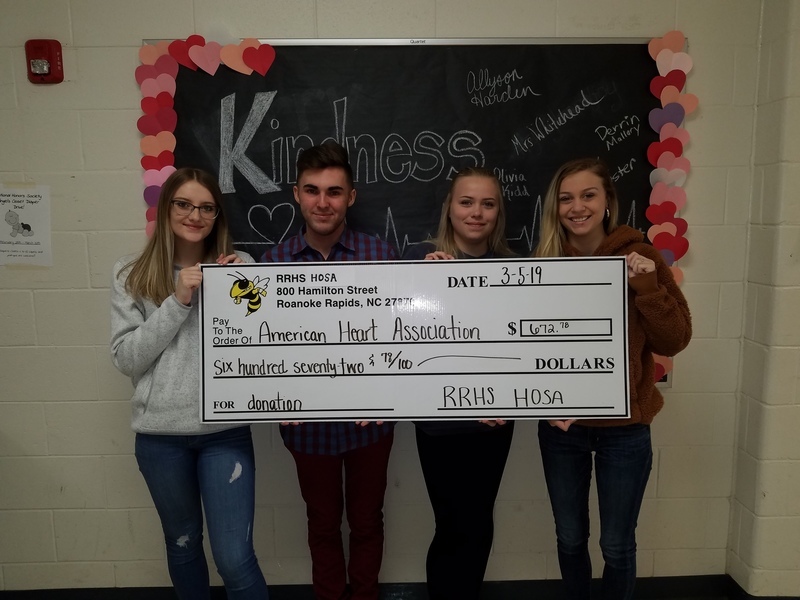 Students Angel Wright, Jacob Bullock, Elizabeth Strickland, and Dianna Ricks raised $672.78 that will be donated to the American Heart Association. Their project titled, "Got Heart?" helped to raise awareness and money about heart health, specifically women's heart health.